The apostle Peter is one of the great figures in the New Testament. He was called by Christ, along with his brother and ten other men, to serve an important role in the ministry of the Lord. Luke describes the beginning of the church in the Acts of the Apostles with emphasis upon the work of Peter from Pentecost to the conversion of Cornelius. Two epistles bear his name as we find that he also served as an elder of the church. Peter was a busy man. He was a husband, father, preacher, apostle and elder. It was the latter work that he exhorts his fellow pilgrims to remember how important their position was in the local congregation. An elder was a man of unique qualities. Paul outlined the characters of the elder in his letters to Timothy and Titus. Peter’s brief exhortation was to remind elders their work was defined by a life of sacrifice. A shepherd’s life was not easy. The sheep were unable to defend themselves or care for their needs without the constant vigil of the good shepherd. David described in his psalm how exhaustive the work of the shepherd was to take the sheep to green pastures and still waters; protect them from the dangers surrounding them; healing their wounds and seeking after those who were lost. Jesus used the image of the shepherd to show the close personal relationship shared between the sheep and the shepherd who called them all by name. 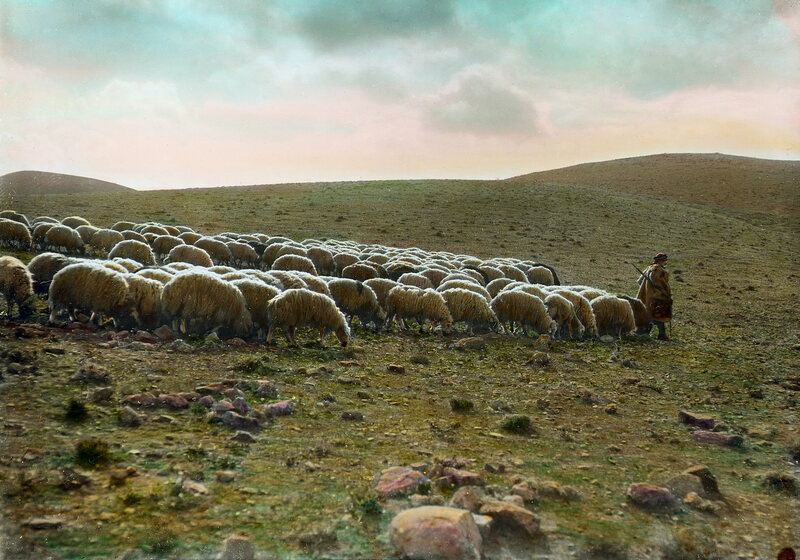 Shepherds were leaders. The flock willingly followed the voice of the shepherd because they knew only one voice and that voice protected and provided for them. Elders must recognize the role of leadership in the church is patterned after a willing heart to live a life that others would follow. Shepherds lead and members follow. Like the compassionate shepherd, an elder must be approachable and inviting for others to talk with and seek their advice. Serving as overseers of the flock means to look over the spiritual needs of the flock. The Lord has entrusted the lives of the members into the hands of those who serve as shepherds of the flock. Peter wants the elders to consider how important their example is to the spiritual growth of the members. They live a pattern that others will follow. As shepherds of the flock, their care for the members will show how much they are willing to sacrifice. Every man who serves as an elder must know what it means to be a shepherd as found in Psalm 23 and John 10. To learn the lesson of the Chief Shepherd, an elder must be familiar with Ezekiel 34. Peter affirms the men who serve as elders will face the judgment of the Lord in the manner they serve as shepherds of the flock. They receive a heavier judgment because of the trust given to them by the Lord. The joy of faithful service will be found when the Chief Shepherd appears. Shepherding the flock of God is a wonderful life of service dedicated to the work of the local congregation growing in the grace and knowledge of Jesus Christ. Not everyone can fill the shoes of those who live as shepherds of God but prayers should be constantly lifted for the men who face the work of leadership with courage and faith. Every congregation needs men who are willing to take the mantle of leadership and care for the flock of God.